At Penn State we deliver a nationally recognized hybrid recruiting program that includes a strong University-wide Career Services Center in partnership with specialized college-supported career offices. Because Penn State is such a large institution, employers are encouraged to take a “blended” approach to recruiting, utilizing the services of both the University’s central Career Services office and the college-supported career offices. Career Services can help you navigate the University at large and coordinate your recruiting efforts across the academic colleges and campuses. The college-supported career offices, by contrast, primarily focus on co-op and internship recruitment and have their own online job posting systems, although some offices also post full-time positions. A comprehensive recruiting system that allows recruiters to connect with Penn State students in a variety of ways. Conduct interviews for full-time positions and internships in our state-of-the-art Interview Center – one of the largest collegiate career centers in the country. Recruit high caliber students from a variety of disciplines during a campus visit in the fall or spring semester. Learn about our OCI program now. Schedule an information session to meet with interested Penn State students on campus. Talk to current students about your organization, available opportunities, and what you are seeking in a candidate. All information sessions are posted in Nittany Lion Careers for students to review. 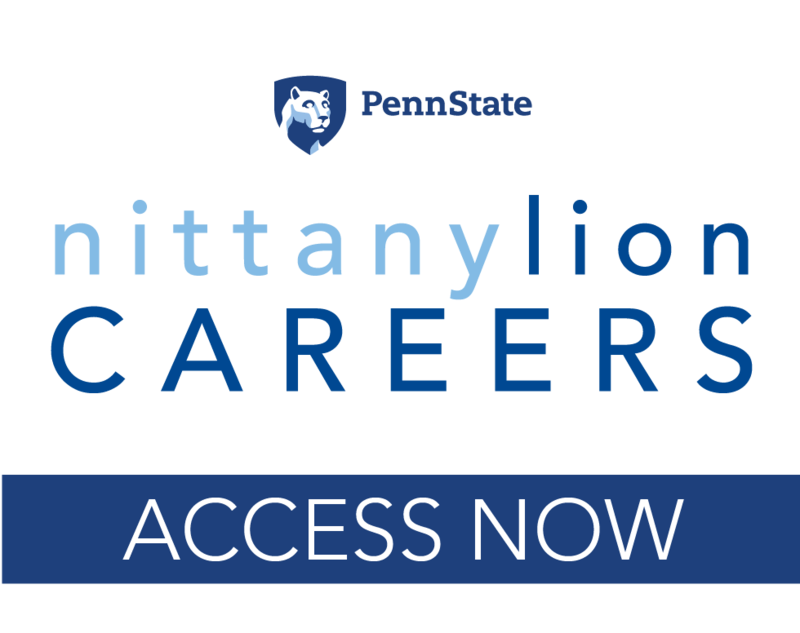 To request an information session on campus, submit a request through Nittany Lion Careers or contact the Recruiting and Employer Engagement team directly. Employers who are not utilizing OCI but are still targeting Penn State students can post full-time, internship, and part-time employment opportunities for students in all academic colleges. Register to attend a wide variety of career fairs on campus. The Recruiting and Employer Engagement team can help you connect and develop a dynamic recruiting strategy at Penn State. Our Employer Engagement Manager specializes in working with organizations to develop contacts at the University, connect and engage with students, and build a complete brand on campus. Connect with our team and start growing your recruiting presence. Have professional clothing you don’t use anymore? Want to get your company involved in sponsoring a great initiative? Donate it to the Professional Attire Closet and help Penn State students in need of an outfit for a career fair or interview. How to connect and get started working with our Career Services team and our college and campus colleagues to build a strategic recruiting presence. Academic program information, enrollment data, and post graduation activity information. Recruiting policies at Penn State in congruence with NACE.